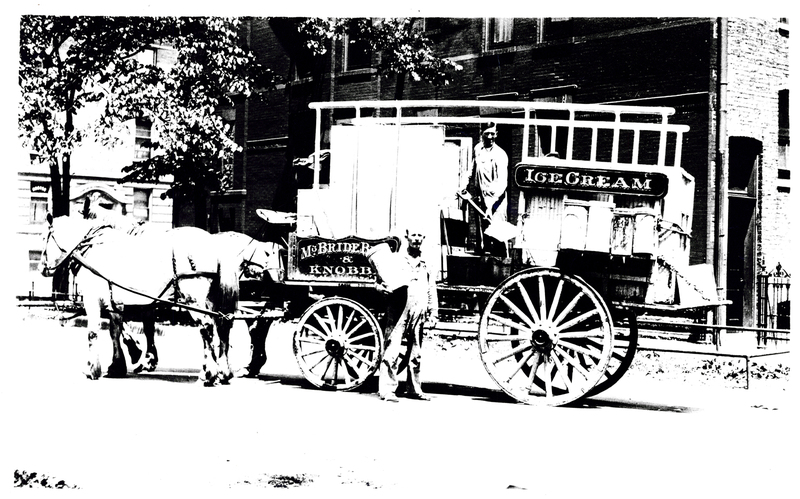 According to the 1910 Chicago City Directory, the McBride Bros. & Knobbe Ice Cream Company had locations at 721 S. Clinton, 4617 N. Ravenswood (east side of the railroad tracks), 4602 W. Kinzie and 4611 S. State. See picture of Oscar Harz with a McBride Bros & Knobbe delivery wagon. It is possible that this photograph was taken near the Ravenswood distribution depot.